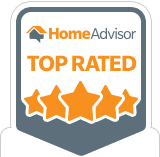 See Why Generocity is the Best Foundation Repair Company in Houston. 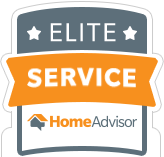 You can contact us to schedule a free evaluation on your home or office today! Get more information on how to get your free evaluation today! We offer three different solutions for foundation repair. Our team of foundation experts will diagnose the problem and decide what is best for you. When it comes to Foundation Repair, we are the #1 company in Houston! It’s built around collecting information for our clients and empowering them to make informed decisions. Our Foundation Repair Service is unmatched in and around the Houston TX area! Why Our Customers Choose Us! Great company, I would recommend them to everyone who needs foundation work. My consultant was Gerald, he was extremely nice and was on top of every aspect of the job. I have dealt with several other foundation companies in my line of work but this one was definitely the best. The crew was very nice and left my property in great shape. Cleaned up well, finished in one day, results of the leveling very obvious in house when edges of cracks in wall came together, amazing. Gerald is very professional and represents the company well. The work process was fully explained and understood prior to the work beginning. Gerald followed up post completion and personally took care of a minor loose end. Workers: Timely, very hard working , knowledgable and efficient. Completion: An independent PE inspected the work and provided a letter documenting that the Foundation Repair Plan had been completed and that no additional foundation repairs are recommended. I recommend Generocity Foundation Repair for any such repairs.